A censored version of the graffiti. A reader writes: "I once worked for bFM promotions and went out one Friday night with a spray can and tagged over some of the posters on hoardings. I was very careful not to spray paint on any walls or public property because I knew that was illegal. The tag I was putting up was a symbol to tie in with an event bFM was hosting, and I thought I was very clever. The police didn't. They picked me up and drove me around town for two hours pointing out every bit of graffiti they had on their books, and asking if I'd done that one too. Despite my calm and reasoned explanations they kept driving me to another 'graffiti crime' ... Then they got called away so they dropped me in Mt Roskill (my car was in Ponsonby) and told me my punishment was finding my own way back. So how is it 20 years later a big firm like Sky TV can spray-paint penises all over Auckland footpaths to promote its new comedy show? Have the council/police stopped chasing taggers, or does Sky TV get a special pass? While I'm sure there's worse graffiti on the toilet walls of some high schools, is this really what we want on our footpaths? Does it make us a more liveable city?" 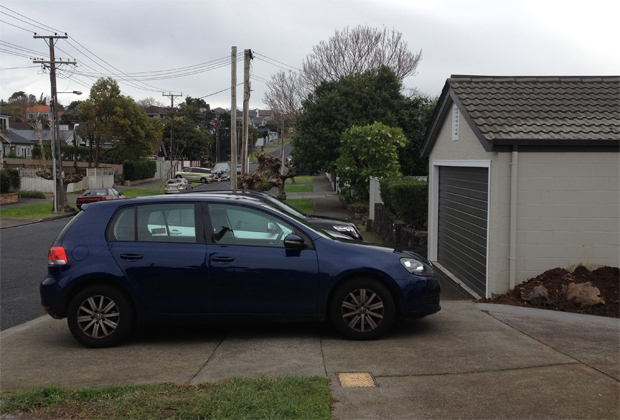 A reader writes: "The residents of Dell Ave, Remuera have voted, using their car parking habits, to block people walking on the footpath. The other day I counted five cars parked over footpaths." Would you like some more cheek with your order, officer? A man in Kentucky, America, was arrested on a charge of shoplifting $36 worth of beer from a convenience store. When he was brought into the police station, he asked officers if he could use his cellphone to make a call. They agreed. The suspect then called a local Domino's Pizza and ordered five pizzas in the name of the officer who arrested him, Captain Coy Wilson. The police learned this when a Domino's delivery driver arrived shortly thereafter with five pizzas for "Officer Wilson". Now the suspect is facing additional charges of "theft by deception, identity theft and impersonating an officer". 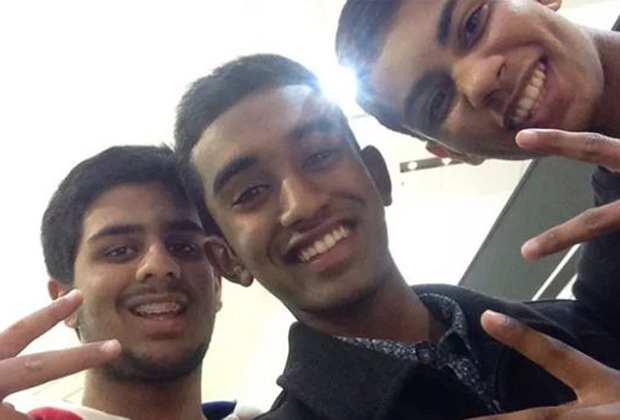 "If anyone knows these three great guys who found my phone in Centre Place in Hamilton Sunday afternoon and handed it in ... I would like to thank them personally. Their honesty is greatly appreciated." NZ Herald app users click here for today's video.